Whether managing a large urban hospital or a small rural facility, video conferencing has successfully addressed a handle of educational, managerial, and patient challenges. 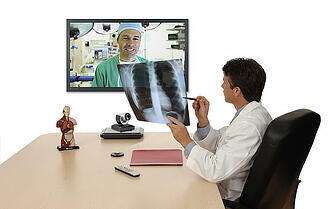 Videoconferencing and other collaborative solutions can deliver great results, especially in the healthcare industry. High definition video conferencing systems can allow doctors to connect with patients and other parts of the medical staff instantly and easily. Even while miles away, doctors can instantaneously see video images of their patients, receive test results and even talk directly with those administering treatment at the patients location. Video conferencing reduces the amount of travel and the associated carbon footprint which can help a hospital meet their environmental objectives as well. Video can also help doctors who have trouble finding time to travel to take courses that continue their education. Many doctors over the country are taking advantage of connecting with continuing education courses through video to keep their skills sharp and their certifications up-to-date. With Video Conferencing, training new employees can be done in large groups and across multiple locations for common issues like benefits, hospital policies, or compliance. It also allows for new information to be presented to several locations in a single session. By using video conferencing, a hospital can eliminate the need to transfer a patient that needs specialized ongoing care. It also improves the delivery of treatment as doctors in other locations can speak directly with those administering care, as well as make clinical diagnoses and consultations with patients. Teams communicating through video conferencing share knowledge more widely, resulting in faster and more informed decisions that reduce the time to market for new products and services. 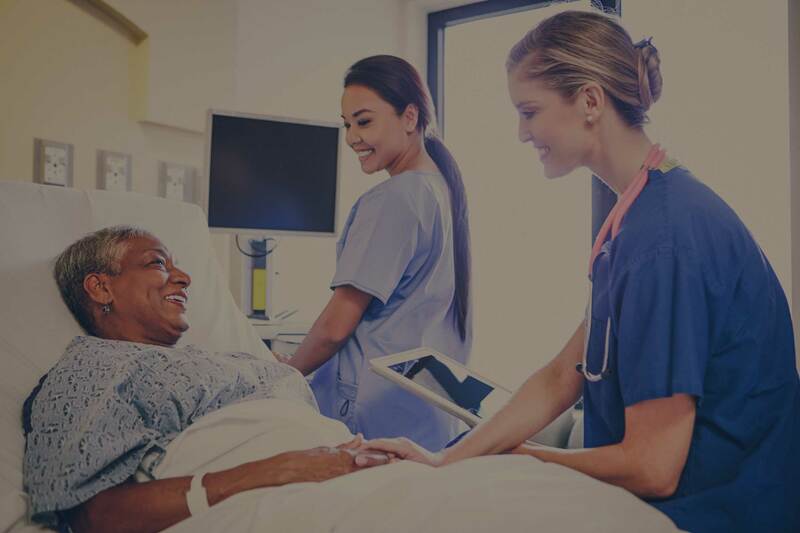 Video Conferencing, especially in healthcare, can be leveraged to create more personal, one-to-one relationships between patients and staff, encouraging trust and loyalty. Justifying an investment in video conferencing is easy because the returns appear in more than several measures. Video conferencing allows the right people to access necessary information when they need it, no matter where they may be. This not only gets the information to the proper personnel quickly, but this also cuts down on wasted time and money on travel. Have these video conferencing benefits (and more) inside your hospital by contacting us for more information.